There was once a young running back that many thought was stash-worthy. The magic with this running back did not happen overnight… but once he was given a shot on a cold winter Sunday, well he started to show why fantasy analysts were so high on him. This youngster proved enough to earn a starting spot the next season. That is when the real breakout occurred. This young back was saving his best for year two as he went on to put up over 2,000 scrimmage yards and 20 touchdowns! You may be thinking those are Todd Gurley or Le’Veon Bell number, right? Wrong, this back was better than them at that time! By now you may have realized that I was talking about David Johnson and his breakout 2015 and 2016 seasons. In those first two years, he was averaging well over 100 yards and a touchdown per start. It is easy to forget how dominant he was, scoring 407.80 PPR points in 2016, while no other running back scored more than 325 fantasy points. You think that is impressive? Well, it doesn’t do DJ’s 2016 season enough justice. Dating back to 2006, there were just three total running backs to score 400+ PPR points in a season. They are LaDainian Tomlinson (481.1) and Steven Jackson (415.4). Your first thought there should be wow, LT was THAT good! The next though should be… no Todd Gurley, no Lev Bell, no Ezekiel Elliott. Only David Johnson can say they have topped the rare 400 PPR point mark. Since that dominant season, not much has gone right and so much has gone wrong for Johnson. His 2017 season was basically over before it started due to a wrist injury and his 2018 season was filled with disappointment. Since the end of the 2016 season, Johnson has scored 259.6 PPR points total. Not even 75 percent of the points he had in that one magical season. In 2018, he finished as the RB9 in PPR leagues. He finished 11th with 15.4 PPR fantasy PPG. In 2016, he averaged over 25 PPR PPG. Yeah, that is quite the falloff. But due to that drop off in production, he is now going in the late first, sometimes even early second round. Well, whoever ends up pulling the trigger on DJ is going to get a steal this season. The Cardinals had the worst offense in the league in 2018 and that is no hyperbole. They were dead last in points per game (14.1) and passing yards per game (180.3). 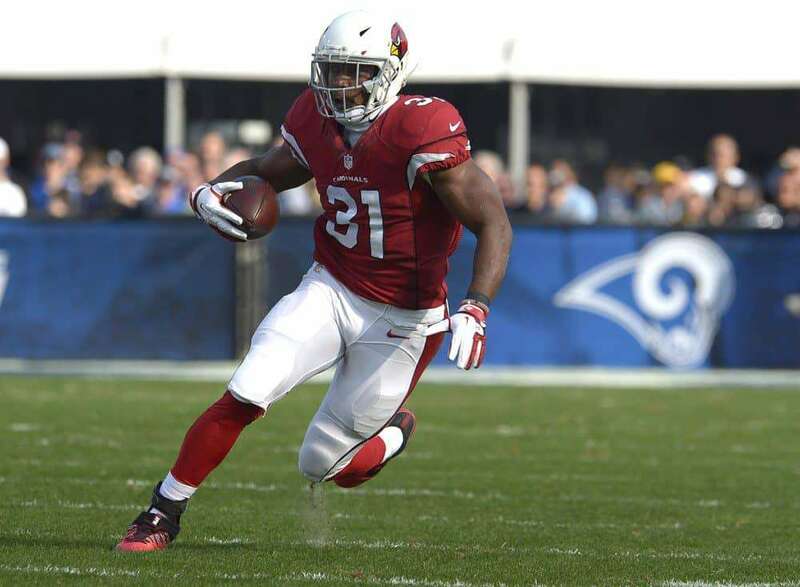 The Cardinals also finished last in rushing yards per game (83.9) but before you put that blame all on DJ know that the Cards also ran the ball the fourth-fewest times per game in the NFL (22.2). You would be smart to give DJ a mulligan. First of all, there was a new coach and OC put into place. Steve Wilks was hired and he picked Mike McCoy as his OC. That didn’t last long. McCoy was fired after just seven weeks. Bryon Leftwich was then brought in, which meant more offensive changes to learn and be implemented. That takes time. That wasn’t the only change to the offense. Sam Bradford started the season and that lasted all of three games before he lost the job to rookie Josh Rosen. It would be wise not to hold a season that had two QBs, one of which was a rookie, along with two different offensive coordinators, one of which was also a first time OC, against a player It was a nightmare season for the entire Cardinals organization and it dragged their most talented offensive weapon down the tubes with them. The play calling, regardless of the OC, was terrible. Johnson excelled in 2016 with 80 receptions for 879 yards and four touchdowns. He had more receptions that season than he had targets in 2018. Yeah, he had just 76 targets, and caught 50 of them for 446 yards and three touchdowns! 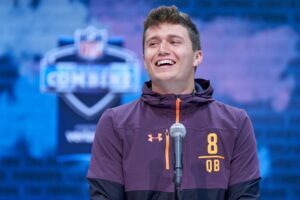 He caught two-thirds of the passes they threw his way, plus has a history of excelling in the passing game, yet the Cardinals thought it was smart to throw him the ball just 4.75 times per game in 2018. Additionally, when they did throw him the ball it was the most vanilla play calling. All season on Twitter I exclaimed for the Cardinals to line Johnson up in the slot more. In 2016, he averaged 4.8 routes per game and a target per game out of the slot. In 2018, he averaged just 1.5 routes per game from the slot and 0.5 targets per game. Meaning that he would line up once maybe twice a game from the slot and they would target him once every other game! Additionally, Johnson saw 8+ defenders in the box on 24.03 percent of his carries, according to NFL Next Gen Stats. That ranked as the 21st highest mark among all running backs in the NFL. Also, the lack of weapons paired with a very vanilla offense doomed Johnson. The Cardinals as a whole had just 31 rushing plays of 10+ yards, the fewest in the NFL. Not only was it the fewest, but every other team had at least 40 rushes of 10+ yards. The Cardinals also ranked 29th in yards before contact, with just 433. It was a disastrous season in 2018, but there are reasons to be optimistic in 2019. The Cardinals hit the reset button just one year into Wilks tenure and hired Kliff Kingsbury who has coached for the last six years at Texas Tech. While there, Kingsbury ran a creative offense that relied more on the pass than the run. In fact, he threw the ball 57.8 percent of the time during his tenure in Texas Tech. However, that shouldn’t worry you for Johnson, as the Cardinals are a safe bet to run more offensive players per game in 2019, compared to 2018. Last year the Cardinals averaged just 60.6 offensive plays per game. Only the Dolphins (58.9) ran fewer. Meanwhile, during his tenure at Texas Tech, they averaged 86.2 offensive plays per game, the third-most among Power 5 conference schools. Additionally, the Cards also ran the ball from the shotgun just 18 percent of the time in 2018, compared to 68 percent from under center. That number should change, as Kingsbury has been quoted this offseason as saying he does not see the “disadvantages” of the shotgun. Johnson himself said he loves to run from the shotgun, and he did so in college. Kingsbury will also be more creative than the 2018 Cardinals brain trust. Unlike the vanilla Cards of 2018, Kingsbury ran a play action pass the fourth-most of all Power 5 conference schools during his tenure. Plus, during his tenure at Texas Tech, they threw the second-most screen passes among all Power 5 conference schools. Knowing this, I expect the Cardinals to throw the ball more to Johnson this year than they did in 2018. We already know this is an area of the game where Johnson excels and should help him get closer to his 2016 value. PFF gave the Cardinals offense as a whole a 56.5 offensive rating, the lowest in the NFL. Their run blocking was graded a 55.8, which was the 12-lowest in all of football. They did add J.R. Sweezy in free agency, but he rates better as a pass blocker. While the Cardinals still have O-line concerns, there is still the NFL draft to address it. However, the Cardinals should not only run more plays this year, but should look Johnson’s way more. If he can once again top 100 targets, which I think is very possible in this offense, he should be able to return value on that late first or early second round pick. Especially if he is not running the vast majority of his routes solely from the backfield and is used in the slot and even out wide at times. The hope is that a more creative offense leads to teams being able to keen in less on Johnson. It may sound crazy, as he is still the focal point of the offense, but you should know that Todd Gurley saw 8+ defenders in the box on just 8.2 percent of his carries, the third lowest in the NFL. It is the same for other, creative offenses as the Bears running backs hardly saw 8+ defenders, as Tarik Cohen saw it on five percent of his runs while Jordan Howard saw it on 14 percent. Aaron Jones saw it on just 13.5 percent. The offenses ability to gain yards in the air does impact the run. Johnson will once again be the focal point in the Cardinals offense, I mean he did have the fifth most touches among running backs (308) last year. It is just the efficiency that should increase, making him resemble the 2016 Johnson, rather than the 2018 one. It was just a year ago that Johnson was in the first overall pick discussion and I believe it is just a year from now that he will once again return to those same discussions. Got the itch to draft Johnson now? Well lucky for you Fantrax best balls are open and you can jump in one for as little as $10! Follow me on Twitter, @MichaelFFlorio.